STM32 Nucleo boards and blackmagic probe. Siobhán on This train calls at Reading, Lesbianism and Witchcraft! So after a work trip to a local gliding club I ended up enjoying it so much I decided to learn to fly gliders. 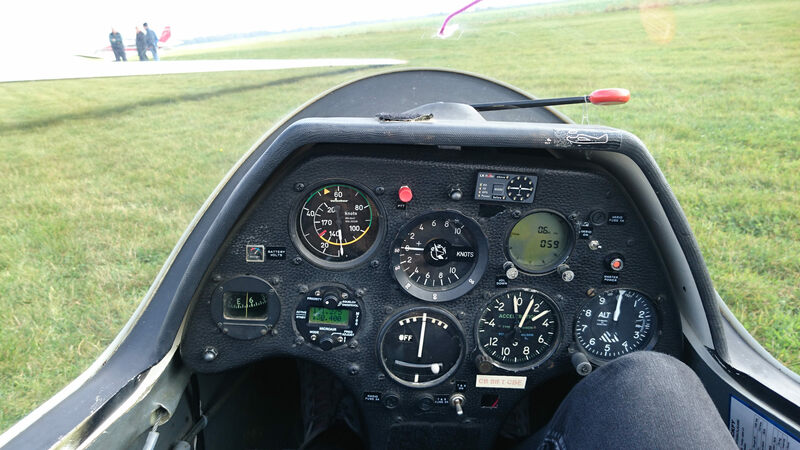 It’s been going really well for the last couple of months and last Sunday I did my first landing with me operating all the controls (my instructors have been using the airbrake to control the descent rate for my earlier landings). 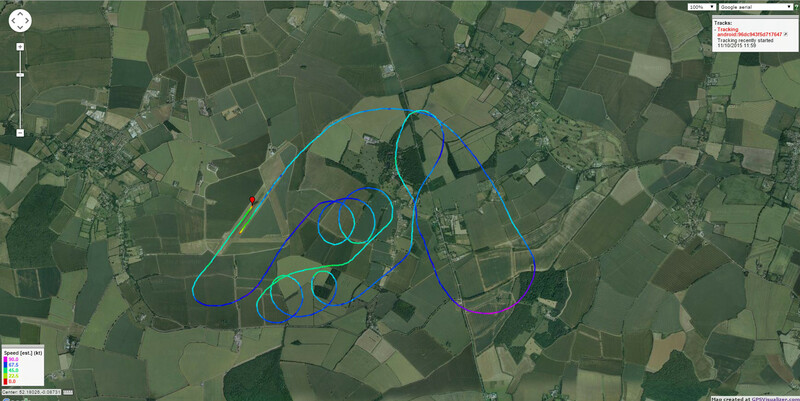 I’ve also been experimenting with recording my flight logs so I can see where I’ve been flying and generally get a better idea of how to improve my circuits (basically the path you have to fly to perform a landing). So after using a program called gpsvisualizer I made a track of my last flight on Sunday. As you can see there’s a lot less instruments then you see on powered aircraft. We also have a device call a variometer instead of a vertical speed indicator. The variometer is designed to show if you are climbing or sinking due to atmospheric effects such as thermals. The other instrument that is rarer is the G meter which is one with the 3 dials next to the altimeter. This is needed as most gliders are certified for acrobatic flight and I’ve already experienced pulling about 3Gs from flying a fast turn when we had some altitude to burn off. Previous Previous post: Terraria: I have a space gun and it’s mine all mine!